Y'all. My craft room/office is done! I mean... no room in our house is ever really done (I'm constantly tweaking things and changes up various items of home decor), but it's as done as it'll ever be, I think! 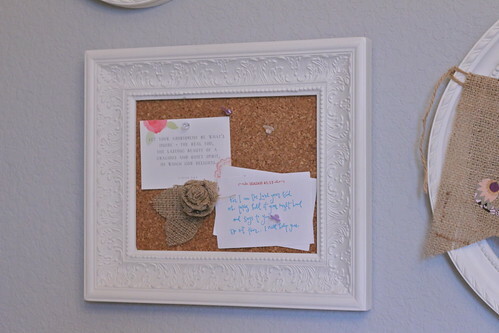 I still need to go through the photos of it before I do a whole post on the craft room, so for now I'll just share a little DIY project from that room - a framed corkboard. 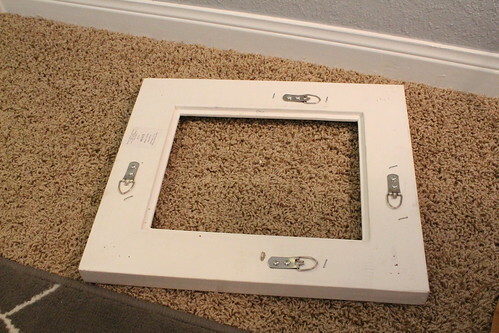 This is one of those little projects that's super simple and easily finished in under an hour (my kind of DIY project!). 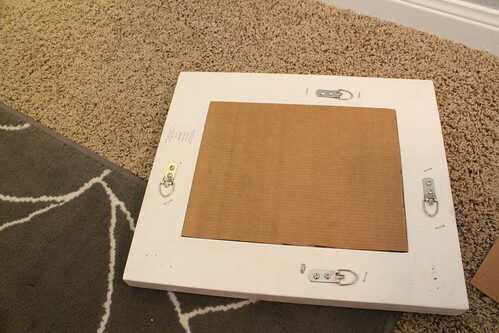 Then, I cut a corkboard square to fit inside. 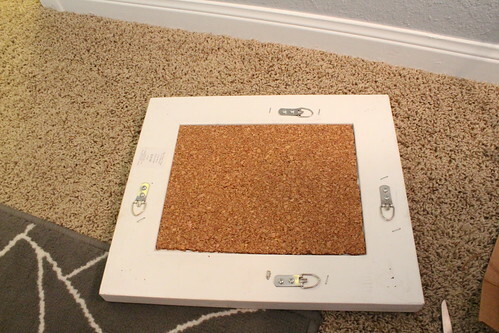 You can buy corkboard squares or corkboard rolls (if your frame is bigger) at craft stores. I just cut it with a sharp pair of scissors - it doesn't matter if it isn't exactly even because the frame with cover the edges. 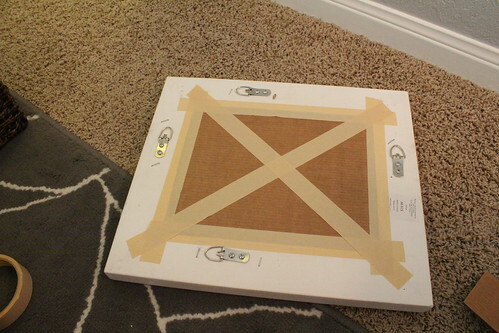 Then you just have to tape all the edges so it's nice and secure, and hang it on the wall! 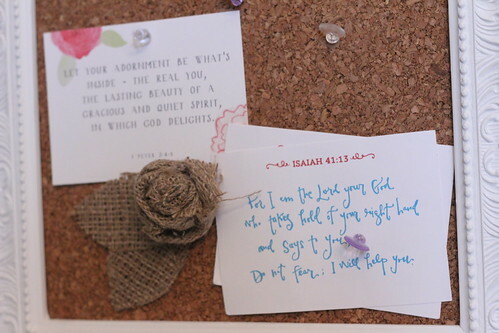 I like to keep little Bible verse cards and a little burlap flower on mine! Welcome to Spirals & Spatulas! I'm glad you're here! Copyright 2009 − 2015 Spirals and Spatulas. Theme images by Ollustrator. Powered by Blogger.